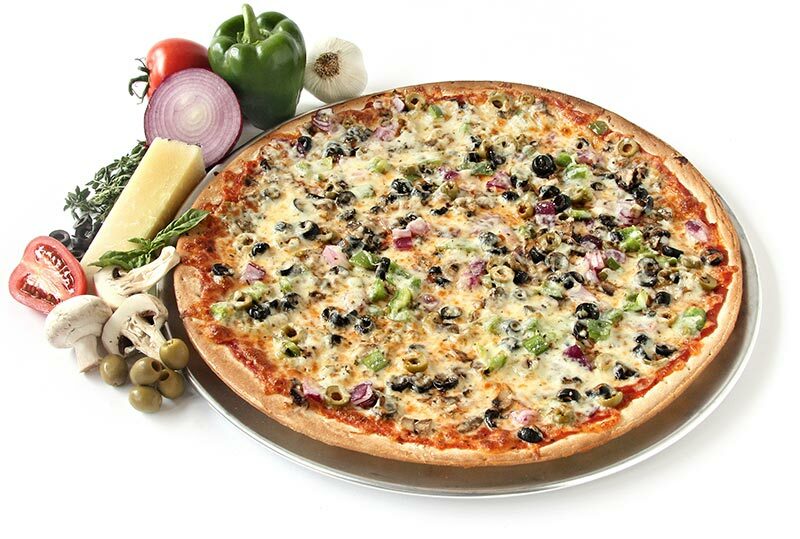 Mushrooms, Red Onions, Green and Black Olives, and Green Peppers. So colorful! So good for you! *Slice portions are for a medium (cut into 8 slices) or large (cut into 12 slices) pizza. Solo portions are for the entire solo pizza.